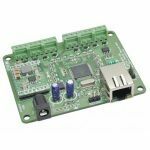 Numato Lab 16 Channel Ethernet Relay module allows controlling electrical devices remotely through Ethernet. This is very helpful in those situations where the device that needs to be controlled is located far from the PC and thus can not run USB cable. 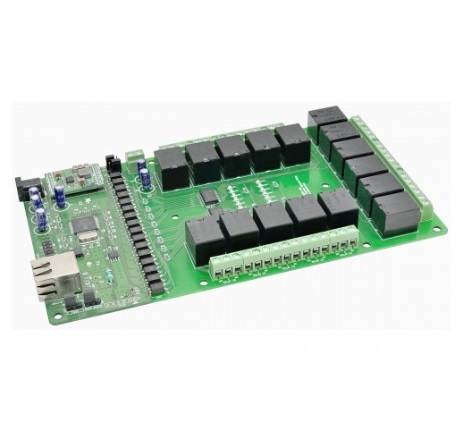 Numato Lab Ethernet Relay modules are designed to be very easy to setup and use. This product has 16 on board relays and 8 GPIOs. 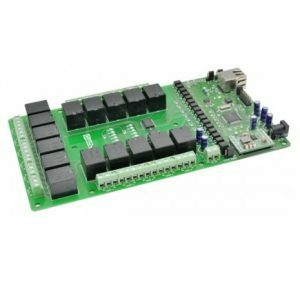 Each relay/gpio can be individually controlled through the built in easy to use web interface or through any popular terminal emulator that supports TELNET protocol. All GPIOs can be used as analog inputs (10 bits resolution) as well. 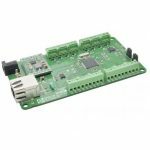 Numato Lab 16 Channel Ethernet Relay module allows controlling electrical devices remotely through Ethernet. This is very helpful in those situations where the device that needs to be controlled is located far from the PC and thus can not run USB cable. 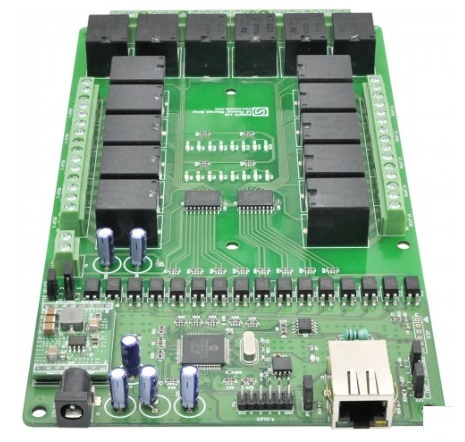 Numato Lab Ethernet Relay modules are designed to be very easy to setup and use. This product has 16 on board relays and 8 GPIOs. 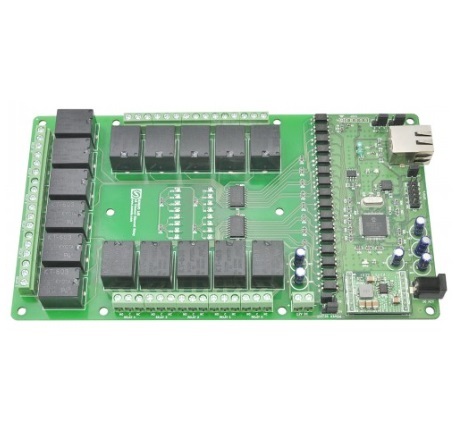 Each relay/gpio can be individually controlled through the built in easy to use web interface or through any popular terminal emulator that supports TELNET protocol. All GPIOs can be used as analog inputs (10 bits resolution) as well. Each 16 Channel Ethernet Relay module is shipped with unique MAC address. These devices also supports assigning and retrieving custom identification string that can be used for identifying individual devices when there are large number of devices connected on the same network. All relay terminals are available on screw terminals which makes connecting external devices very easy.